I really liked More Love Band after hearing their demo online but loved them after my initial phone call with Yvette. Since my first contact with the band they have been nothing but accommodating. When they came to set up for our outdoor reception I was having a problem with the venue and the band helped put my mind at ease and worked with the coordinator to make sure things went off without a hitch. Their music was upbeat and had everyone dancing through the last song and the band breaks were mixed in seamlessly so the guests didn't notice. James was an excellent MC and many of our guests asked where we found such a great band. Will hire them again. 5 stars! CASEY BRITTEN - the planner of the a wedding reception at THE ROOFTOP IN PLANO TX. James and Yvette performed for my wedding ceremony and were awesome! James sang 'When a Man Loves a Woman' as a special request and he was great! Yvette sang 'At Last' and brought chill bumps to the audience. They were very professional and friendly and very helpful during planning and at the wedding, I am very pleased and would recommend them to everyone! WHITNEY MOORE is bride for a wedding ceremony at TATE SPRINGS BAPTIST CHURCH IN ARLINGTON, TX. I really enjoyed these guys. They made my birthday event very special. They were very lively and involved and sounded great. I highly recommend them for your occasion. They had a lot of personality and they were very involved. They get all 5 stars from me and look forward to booking them again. Awesome Entertainment! 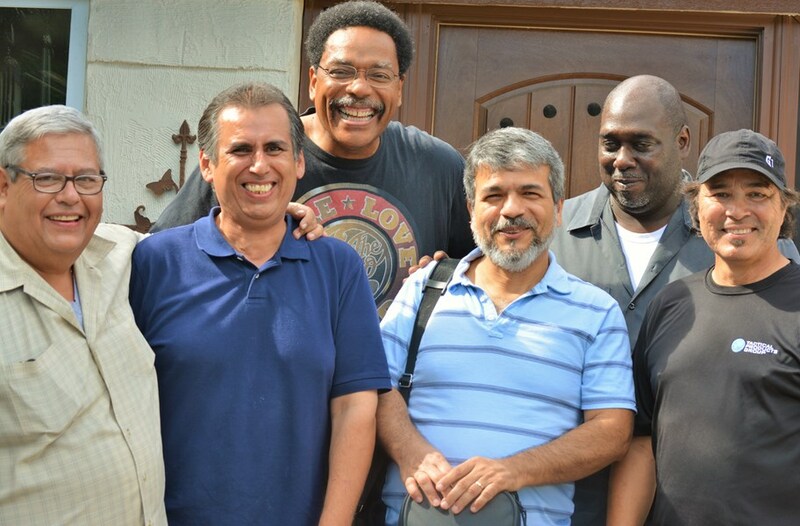 LORENZO A. was the honoree at his party in Dallas. They came to San Remo to perform and did an exceptional job! We laughed and sung songs, some even danced. Staff participated and overall was a fantastic performance! This was our first time booking them and we were pleased with their services! Great Great people! They will be coming back again to entertain us in the near future! Thank You!! CRYSTAL LOPEZ is an in-house Activity Planner in Richardson, TX. Totally entertaining band for a wide age-group! The dance floor was constantly packed, and guests would have stayed many hours after the event was officially over! Very easy to work with, very professional, and most importantly, very GOOD!! They would be my very first choice! ROBIN D.
Yvette Loveless sang a beautiful solo at our son's and daughter-in-laws wedding and the band did an great job entertaining at the reception. Great blend of classics, jazz, and contemporary music. Worthy of their Branson, Missouri reputation. We would recommend these guys for any occasion, particularly a wedding of any scale!! Fantastic Band, On top of the music game. RON PARKER was the father of the groom at his son's wedding reception in Fort Worth, Texas. The band offers pricing for 2-8 pieces (keyboards, drums, lead and bass guitars, male & female vocalists and a saxophone player). By customizing the numbers of the band to each gig, they can fit into any event and still provide just what you need. They offer the ability to learn two special songs (for free) that are not on their list of 400 songs. Why choose between a band or a DJ when you can have them both? 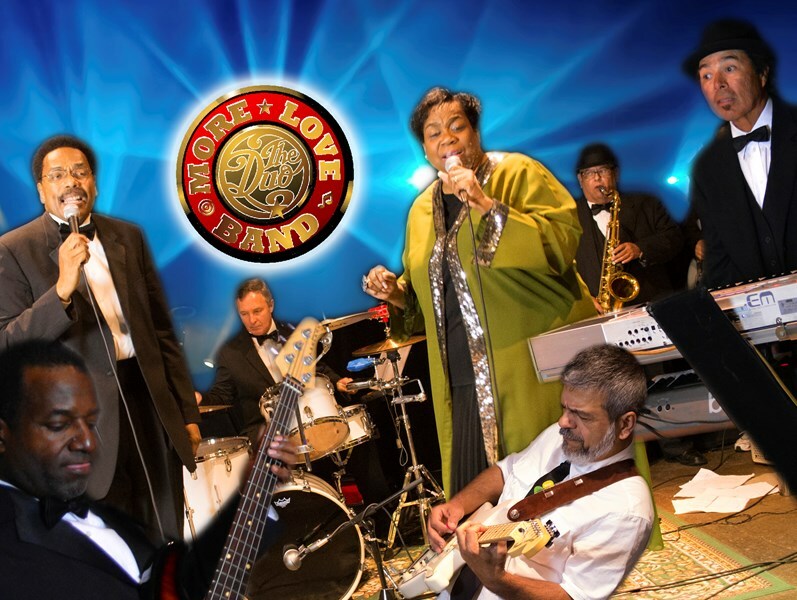 More Love Band will give you and your guests both a live dance band and DJ club vibe experience! This adds to the band's versatility to play your favorite, modern top 40 hits straight off the charts, mixed in with some classic favorites (updated with a modern twist!). More Love Band | Loveless Duo provide seamless transitions. This means that the party never stops! It literally is the best of both worlds! No need to make a choice. More Love Band is both a live band and a DJ! 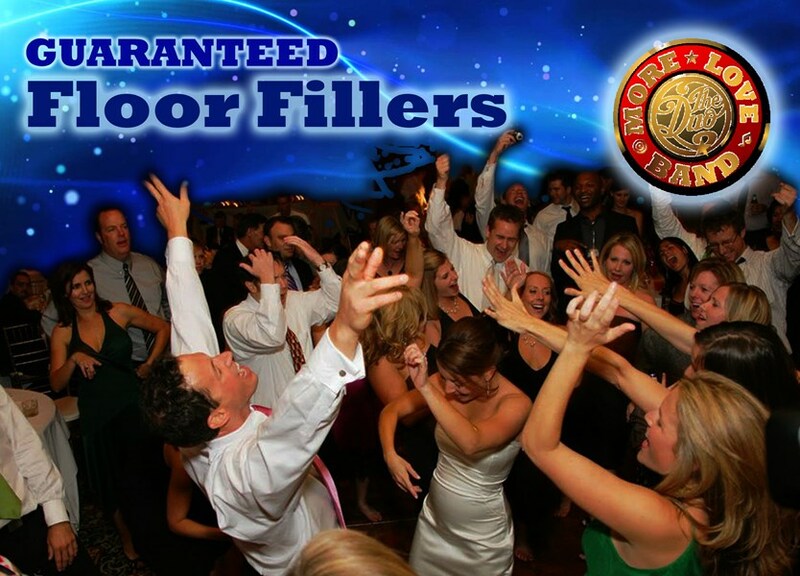 The band has worked full-time as a band for the past eight years and they offer complimentary MC and DJ services. They have also performed at least 260 shows each year. Yes, they perform about five shows per week and they have attracted some very loyal customers. We had a stress free and an incredible time with James and Yvette and the More Love Band at our wedding reception. Their vocals are spot on with all the covers that they sang and were so inventive as to incorporate myself and my wife’s name in some songs. James coaxed others out by being on the dance floor with his amazing voice and moves while Yvette’s song choices and incredible vocal range were more than what we could have ever asked for. We can’t recommend them enough. Their professionalism, class and vocals are the best thing we could have asked for to perfect our reception. Thank y’all again so much we appreciate everything and will never forget it! Almost a month after our event, I am still being stopped and being asked "who was that band" "they were AMAZING" "Can I have their info, we want to book them". I have put on events all over the US, but most recently in Las Vegas before moving to the The Metroplex, and I have to say out of all the bands I have ever worked with and hired, The James Loveless Band is #1. They are so accomondating and their members are just so friendly and talented you can hear the passion when they perform. When booking, I considered much more expensive bands with more mainstream looks, but I could not recommend The Loveless band more. I am over the moon with my choice. I really liked The More Love Band after hearing their demo online but loved them after my initial phone call with Yvette. Since my first contact with the band they have been nothing but accommodating. When they came to set up for our outdoor reception I was having a problem with the venue and the band helped put my mind at ease and worked with the coordinator to make sure things went off without a hitch. Their music was upbeat and had everyone dancing through the last song and the band breaks were mixed in seamlessly so the guests didn't notice. James was an excellent MC and many of our guests asked where we found such a great band. Will hire them again. 5 stars! We hired the More Love Band to play at our wedding and everyone had a blast. We got complements all night on how great they were. The dance floor was always full of people having the time of their life. Thank you! The band was great! They had a good variety of music and their energy levels were so high that the crowd was able feed off their energy! They had the place rocking out to the oldies. The guest of honor turned 70 and he talked about the band all weekend and how great they were! Thanks again guys. Now my boss is throwing hints about his birthday coming July, we might be having another party and if we do we will definitely reach out to you guys. Thank you, Marquita for the review! The band had an awesome time providing entertainment for your special event. Please tell Mr. Hamilton that we would consider it an honor to provide music for his birthday party in April! Thanks again. Absolute professionalism. Amazing entertainment factor. Talent, talent, talent. So many guests said, "They are fabulous!" Followed immediately by "Where did you find them?" I replied, "I found them on Gigmasters and it was amazingly easy, and they have been wonderfully communicative and professional from minute one!" I just can't say enough about this duo and the party atmosphere they created with all the songs performed being appropriate and perfectly executed. 20 people or 100, I think they would bring the party! Thank you Loveless Duo - I look forward to hearing the whole band sometime! Band was fabulous and kept everyone on the dance floor! Great entertainment for any venue. The Loveless Duo was awesome! They contacted my wife immediately and communicated with her from the planning stages to the day of the event. This husband and wife team arrived early to set up and agreed to stay as long as we they were needed. They were extremely accommodating. My in-laws had a fantastic time celebrating their 50th wedding anniversary and everyone enjoyed the music. Thank you Loveless Duo!! Vincent & Terri- Austin, TX. We had a very good time at the Eastminster Presbyterian Church Fall Festival and a very big part of that was directly attributable to the Loveless Duo. What a lot of fun they were and oh-so engaging. We felt as though we had known Yvette and James for years as they were easy-going and engaging. Before the big day, it was easy to communicate with both of them via phone, email and text. But on the day of their performance they really delivered. Yvette and James brought to the stage all of their talent and friendliness, encouraging folks to dance and constantly working to engage the audience and many of our guests commented on how talented and fun they were. Great! Please note More Love Band featuring the Loveless Duo will also travel to Coppell, Irving, Lewisville, Grapevine, Richardson, Carrollton, Farmers Branch, Flower Mound, Addison, Euless, Southlake, Colleyville, Fort Worth, Bedford, Roanoke, The Coloney, Lake Dallas, Hurst, Plano, Arlington, Argyle, Grand Prairie, Denton, Keller, Little Elm, Frisco, Garland, Allen, Haslet, Justin.